Sean Dyche re-iterated that the Premier League remains the 'bread and butter' for Burnley next season after the club qualified for the Europa League. 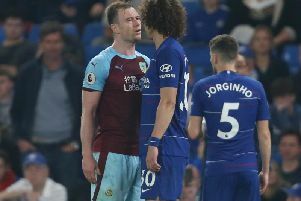 The Turf Moor chief stressed that the Clarets won't be throwing the towel in when they begin their European campaign on July 26th, not by any stretch of the imagination, but the objective, first and foremost, is to keep building in the top flight. Dyche will be forced in to a juggling act early on with the UEFA competition intertwining with the domestic schedule. The third qualifying round, should the club get over the first hurdle, sandwiches the opening of the league campaign, the play-off stage provides a bookend for the third game week, while the first game of the group phase would likely interfere with preparations for the league and third round of the League Cup. The Burnley boss isn't downgrading the tournament, it's one that he says the club will enjoy, embrace and, above all, take seriously, but he acknowledges that he has to prioritse the Premier League for the good of the club. "There’s a reality to the preparation, enjoy the fact you’ve made it into Europe, but we know the real bread and butter is still the Premier League. That’s the way it is, that’s how powerful the PL is. "It’s something to try and do well, it’s there to be enjoyed and respected that we’ve got there, but knowing that the Premier League is the real stage for the club to continue growing and the players to continue growing and improving. "We’ve never not taken anything seriously, but we still know that the real challenge for clubs like us is to continue the journey in the PL. It’s a fact. "People talk about the cups and the downgrading of cups, not at all. It’s just the reality of the PL, not only the kudos, but the finance, the feel of it, the boost for a town like Burnley to have a team in the Premier League, that’s a big thing. "There’s no downgrading of it, it’s a fantastic achievement from the players, but the focus remains heavily on the Premier League." The draw for the second qualifying round of the Europa League will take place in Nyon on June 19th, five days after the Premier League calendar has been released.